CAD Outsourcing is staffed with highly experienced Architects, Structural Engineers and other professionals, they have access to all the popular software to create transparent, easy to read Mechanical Shop Drawing for your projects quickly, confirming to industry standards and rigid quality parameters. At CAD Outsourcing the team of engineers and other specialist acquire diverse skill set that make them to perform meticulously and as an output they execute Plumbing Engineering Shop Drawings that constitute of design standards, accurate scales and dimensions. 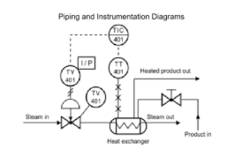 Each Plumbing and Piping Shop Drawing is undergone through a definite checking method and hence it provides accurate output. Our samples of 3D model or soft copy shop drawing in .dwg/ .pdf format will brief about our quality and capabilities in our field of expertise. We believe in meeting client expectations, adhering to international standard of quality maintaining the clients delivery schedules. We are committed to producing the highest quality detailing and production of fabrication shop drawings and erection drawings in accordance various international standards such as AISC, BS, IS code and OSHA and provide the drawings in .dwg, .dxf, .pdf and various different formats. We also provide the CNC data, DSTV, KISS, fabtrol list etc if required to expedite fabrication. Prepare the detailed shop drawings based on client’s design documents. We at, VIRAUGRA IT Pvt. Ltd, which provides services in the domains of civil/structural engineering, geospatial services and technology services. W are the leading company engaged in providing Shop Drawing Services which can make the task easier. 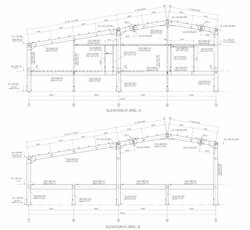 We offer these Shop Drawing Services at most affordable prices to our precious customers.